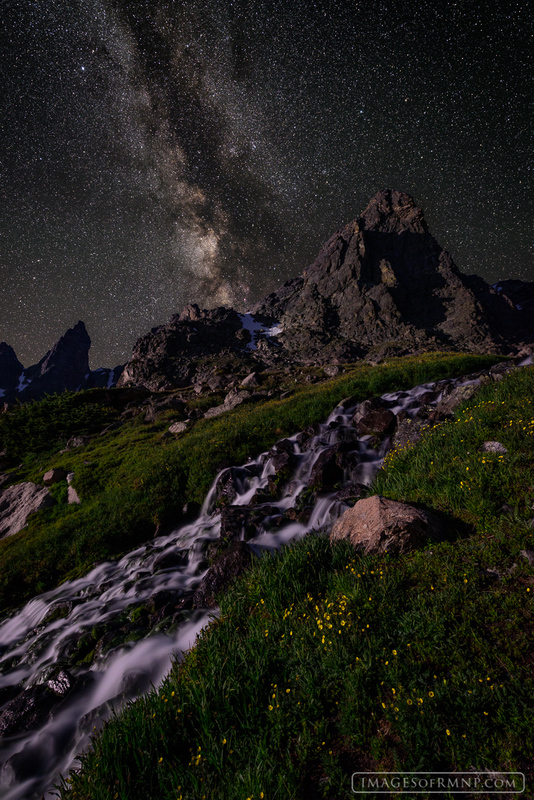 The rising moon gently illuminates the peaks and tundra grasses on a crystal clear night in the backcountry of Rocky Mountain National Park while overhead a billion worlds pass by unseen by our sleeping planet. . Photo © copyright by Erik Stensland.